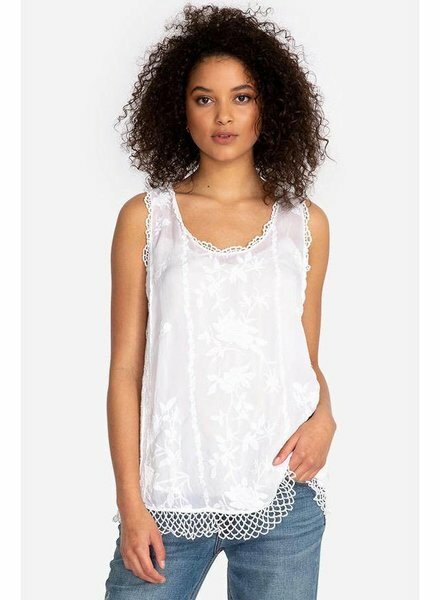 This great top features a unique silhouette that flows delicately around the body. 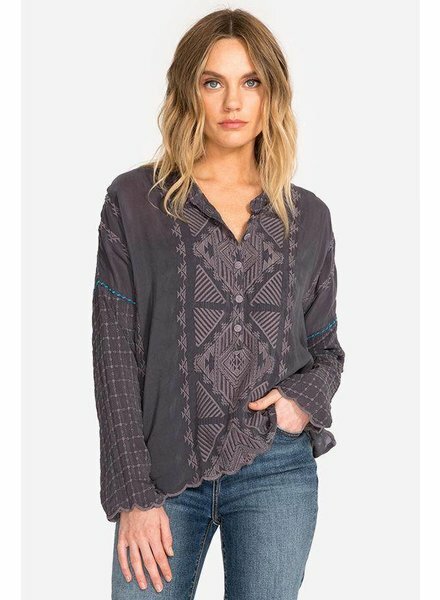 It features a v-neck, and long sleeves. 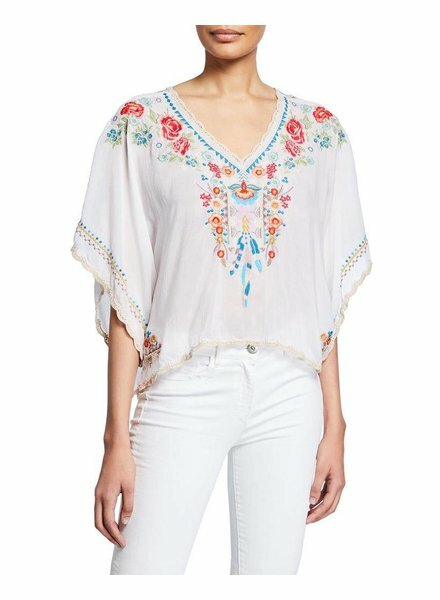 Dress it up or wear it casually with heels, flats and a tank underneath. 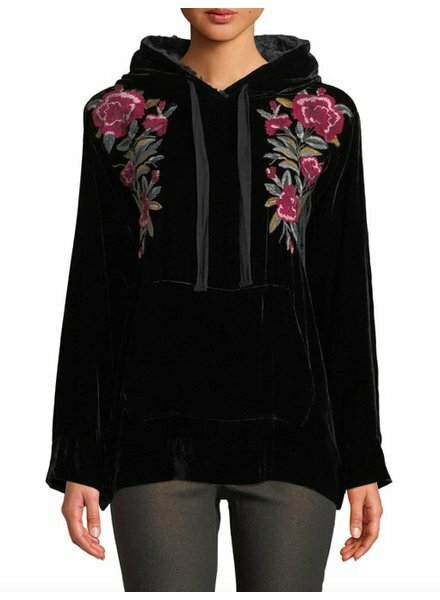 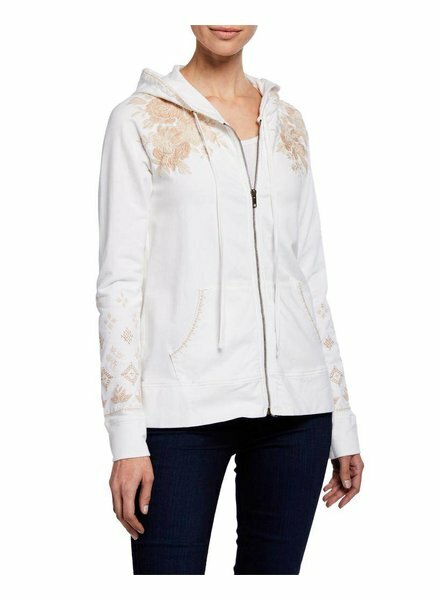 This beautiful velvet hoodie is elevating casual with high quality materials, a cozy lining and stunning embroidery. 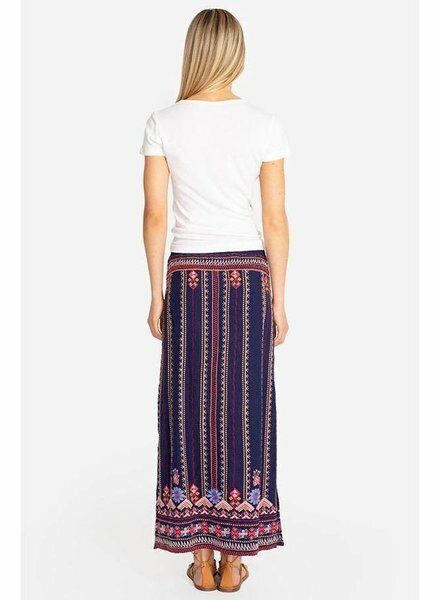 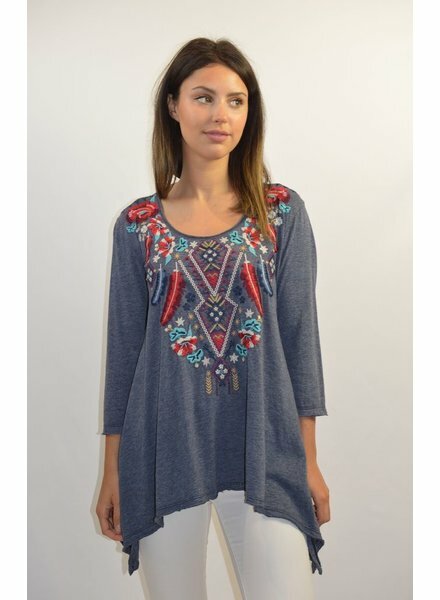 Pair with leggings or denim for a complete look. 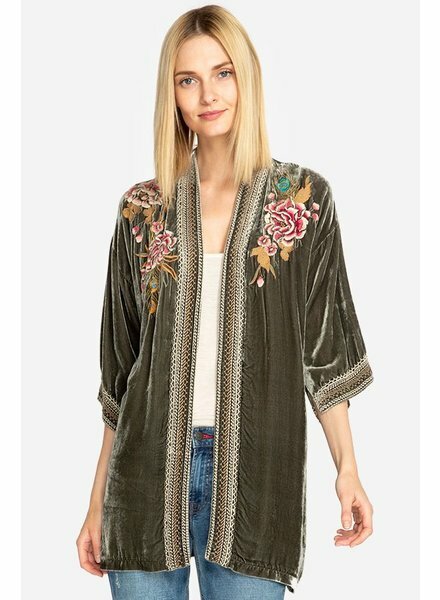 The Johnny Was Quito Velvet Kimono brings a luxurious bohemian twist to the traditional kimono. 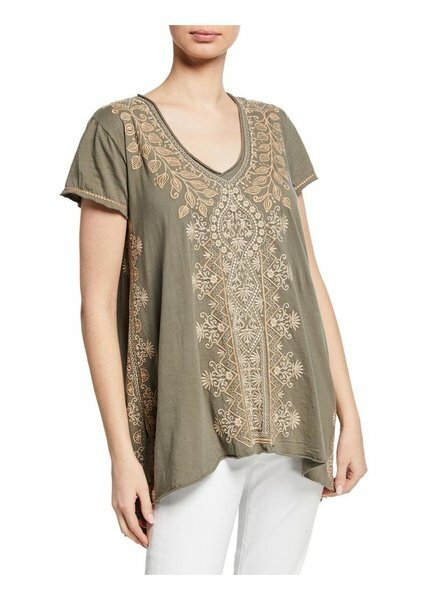 The velvet material features a floral design that can be thrown over a simple top. 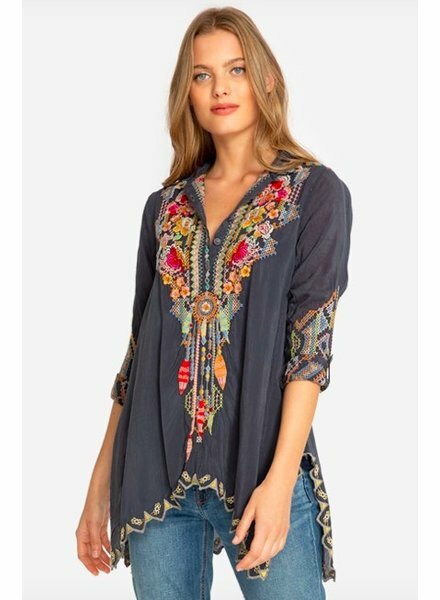 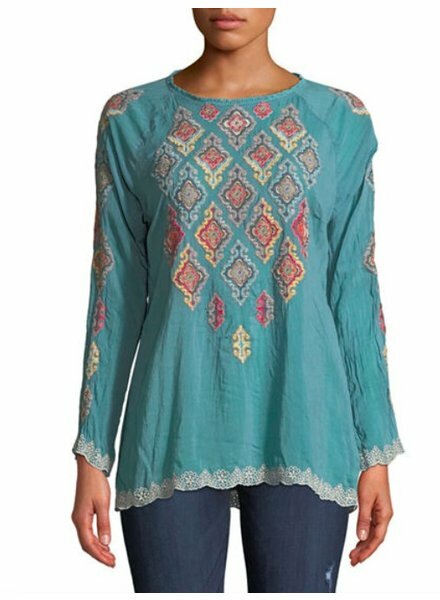 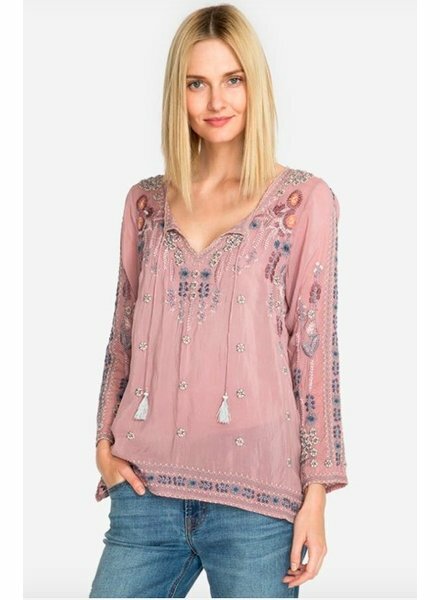 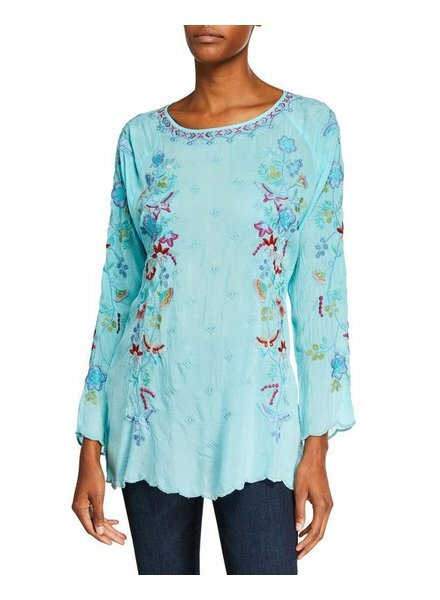 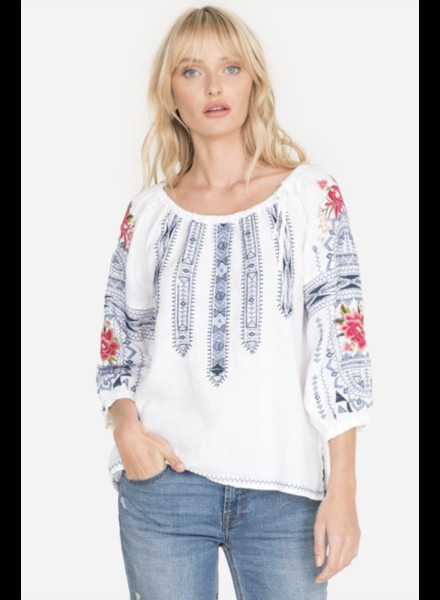 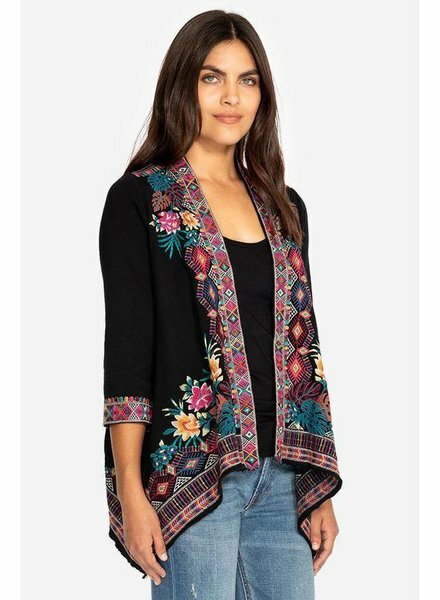 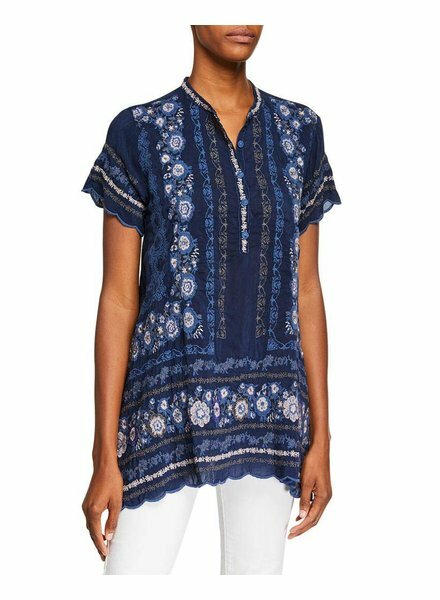 This beautiful blouse features long sleeves, flattering mid-length, v-neck with self-tie and tassels, and floral and geometric embroidery throughout. 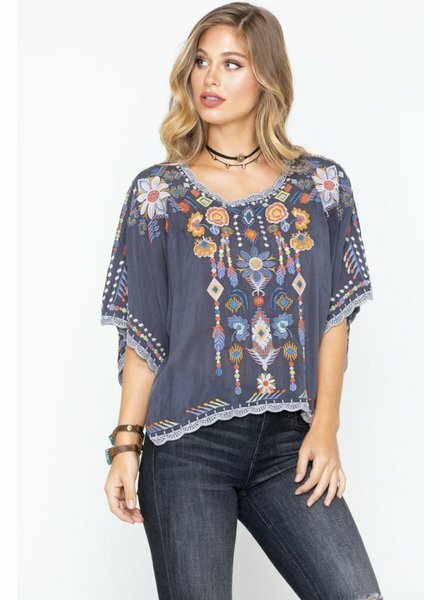 Pair with blue jeans and a tan felt hat for a complete look. 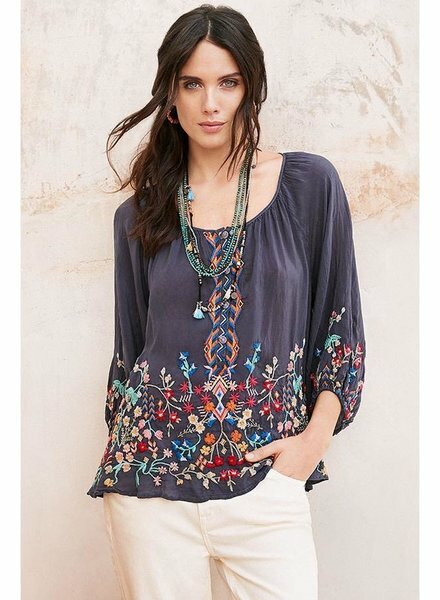 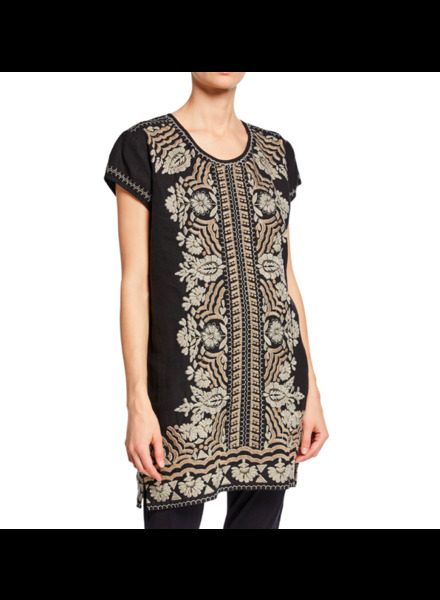 This round neck, long sleeve top features beautiful embroidery on a crinkled georgette material. 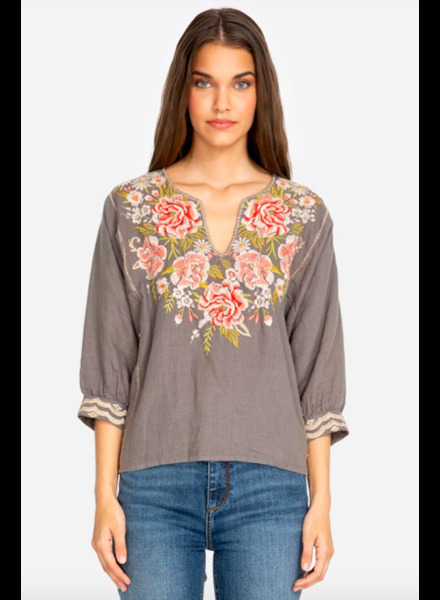 Pair with denim, cognac corduroys or a brown suede high waisted skirt for a complete look. 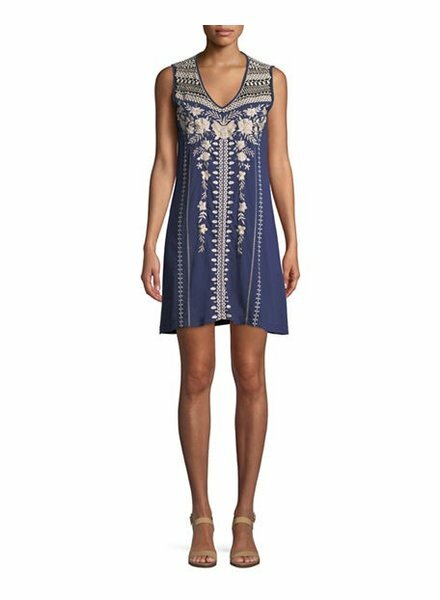 This feminine a-line dress is made from soft cotton and features a flattering v-neck and beautiful embroidery. 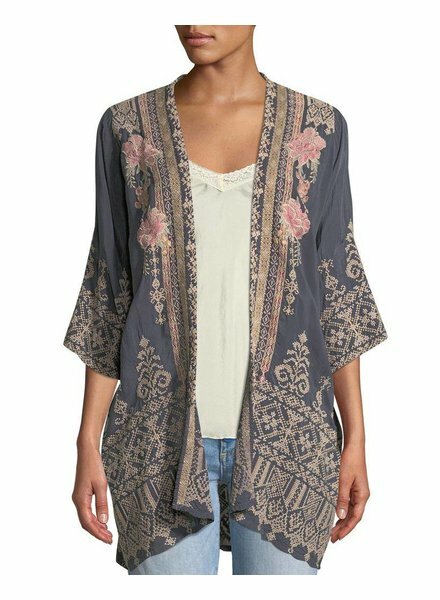 Take it into the fall by layering with a denim jacket. 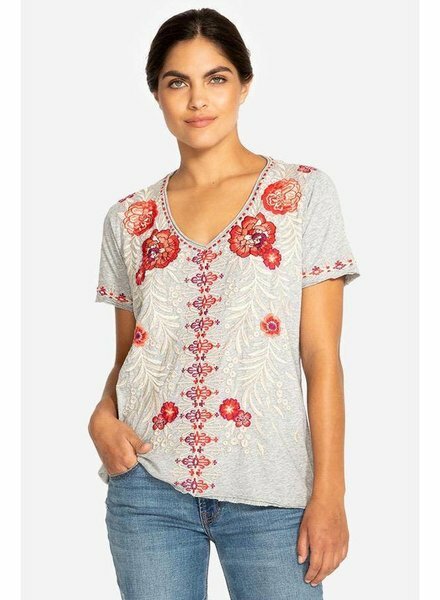 This 3/4 sleeve embroidered tee is cut from soft cotton and features a raw hem, and asymmetrical cut.